Making your own sewing patterns is actually quite simple once you know the basics of sewing. 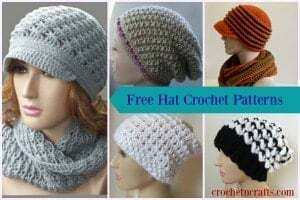 There are several inexpensive ways to go about making your own patterns, which include using old clothing items that have been ripped apart, or designing the pattern from scratch. One of the easiest ways to make a sewing pattern is to take an old garment, a favorite garment, and rip it apart at the seams with a seam ripper. If you don’t have the patience to do that, then you can cut at the seam. Note that if you are cutting it, that you are cutting away the seam allowance, and will have to factor that back in once you are ready to cut your new fabric. Ideally you want to have a 5/8″ seam allowance. The ripped apart garment will work as a pattern as it is, but it can get bulky and take up a lot of space when storing. To save you some of that space, you can transfer the pattern unto a tissue paper. I use the dollar store gift-wrap tissue, which works well after you press the creases out. It is important that you do that as a crease left in can offset the whole pattern later. Then, depending on how big the pattern is, you might have to tape two or more pieces of tissues together in order for you to be able to trace the pattern in one piece. If you need to press it again after it has been taped, make sure not to press over the tape as the tape will stick to the iron. One thing that you can do is place a cloth over the tape before pressing. Once you have your tissue paper ready, simply pin your old garment pieces on top and cut it to the same shape making sure that you cut it big enough to have a seam allowance. Another easy way to make a sewing pattern is to take a pattern that you already have and alter it. Most likely if it’s a garment you will have to alter it anyway in order for it to fit the shape of your body. But sometimes you might also want to add in additional details or change the shape in order for it to better suit you. Oftentimes you can make the changes on the original pattern paper, but instead of ruining the original pattern (which might come in handy for future use,) you can transfer and make the necessary changes on a new piece of tissue paper. When transferring the pattern, make sure to also transfer any notes, lines, symbols and other instructional markings to the new pattern. The beauty of making a sewing pattern in this manner is that you are not limited to using only one sewing pattern. You can take your favorite details of as many sewing patterns as you like and combine them into one. For example, you might prefer the top of one dress pattern and the bottom of another. Then for the sleeves, you might be looking at a third pattern. It is a lot of work, but you can merge all three together into one unique design. Using this method can be tricky because you have to readjust lengths, widths, and other measurements in order for the pieces to fit together. A measuring tape, notepad and pen, and a good calculator will come in handy when pursuing this method. However, with the amount of work that goes into combining patterns like that, you might almost be better off to simply draw your own right from the get-go. Last but not least, you can design your own sewing patterns from scratch. All you need to do is make a drawing of what you want the finished item to look like. Then take your measurements, and incorporate them into the design. Again, you can use tissue paper for the rough drawing. However, tissue paper does not drape, and therefore, you might need to make another rough copy with real material. Old Sheets tend to work well, and you can generally purchase them at your local thrift store. Once you are happy with the way the finished item looks and fits, then you will have to rip it apart again in order to transfer the design to another tissue paper. This will be your good copy, and you should make sure to include any notes and details that will help you in the future. It may seem frightening to design your own sewing patterns from scratch, but really it’s not that hard once you have mastered the basics of sewing. It just takes some trial and error, and quite a bit of patience for the first few patterns.